There is no explanation that can fit to why my brother has Broken so many hearts by taking his own life other than the devil took over in the moment of Despair and controlled his Mind therefore his actions. So many random suicides are happening right now, My brother ironically highlighted the same point to me a few weeks back.. Also stated how ill it would make my mother if we done that to her. So why would he do the same? maybe one day we can find closure BUT as for now the only way I feel my family can gain strength is if we all come together and Show our Love for My Brother and give him the send of he deserves, no one deserve to die in the way the mind dies before the body so this the least We could do to show Ryan there will never be another Pringle. 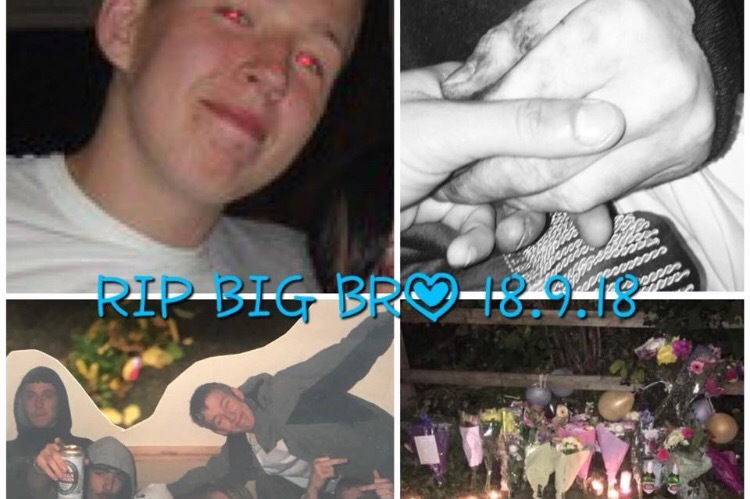 Feel free to leave a comment with a memory of Pringle, how you met him or even a message of support to Our mother Tracey alongside of your donation. I will forever acknowledge and appreciate everyone who has showed Such support. I haven’t stuck any specific goal to raise as it feel very strange trying to compare money whilst knowing I’ll never have my brother back, I’m just concerned that he has the best send of.